The Orphan Barrel is a distillery straight outta Tullahoma, Tennessee. And they are dedicated to the practice of shaping good whiskies, then releasing them, until they’re all drunked up and done. Now three batches deep into their policy of one-of-a-kind batches of booze, the next passing edition to welcome to your gullet is moving to Kentucky. 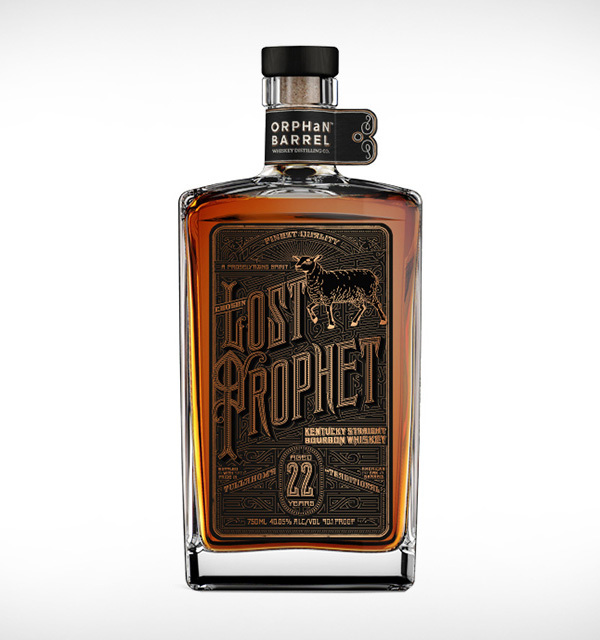 Lost Prophet 22-Year-Old Kentucky Straight Bourbon Whisky is the fourth of the finite batches of spirit to bear the Orphan Barrel label, but the first to be a Kentucky bourbon. Seeing as the 90-proof caramel nectar was distilled way back in 1991, expect to be paying about $120 a bottle. Keep an eye on their inventory here, and a tumbler glass ready. Look out for Lost Prophet’s black and gold-embossed bottle with the symbol of the lost lamb on its label. Flavor described as spicy, vanilla, leather smoke — and also, damned good.